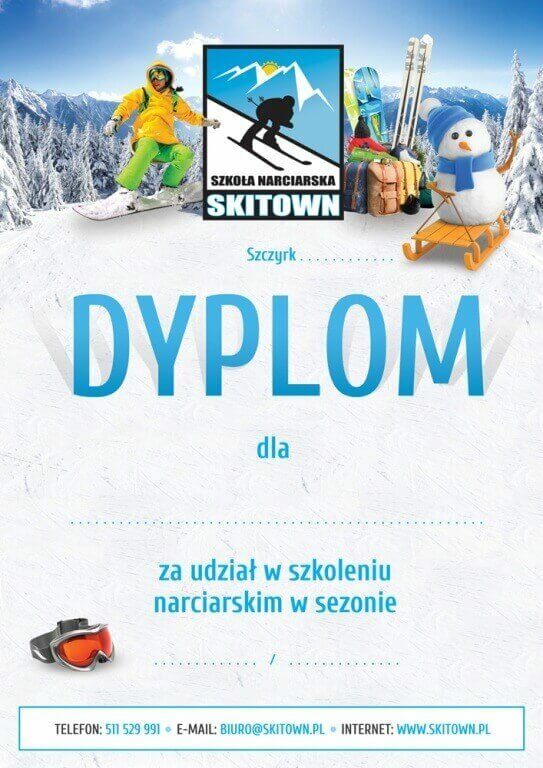 SkiTown Ski school Szczyrk offers skiing and snowboarding lessons at every level, so it will be both learning from scratch and improving your previous skills. Our instructors, based on many years of experience, adjust the training program individually to each of the students. Have you never had contact with skis and board? You could not get any better! Thanks to our (proven) methods, you will certainly learn quickly 😉 We will pass on your experience and knowledge in an accessible way, and certainly, just like us, you will catch the “winter bug” on skis in Szczyrk! Do you want to improve your technique? Do not wait book the lesson today via the Online Form !!! Group training. Group classes are perfect for a group of people showing a similar level of skills. It is also a nice way to learn together with your friends 😉 There is always a bit of competition among the students on such trainings, which contributes to the faster progress of the whole group! Training for children. Combine fun with driving lessons. Appropriately selected exercises and games tame the child with snow. New elements appear on each lesson, thanks to which classes are very varied and kids are never bored! Our school is located in a very convenient place – Szczyrk, ul. Narciarska right side of the car park Szczyrk Mountain Resort in CZYRNA. 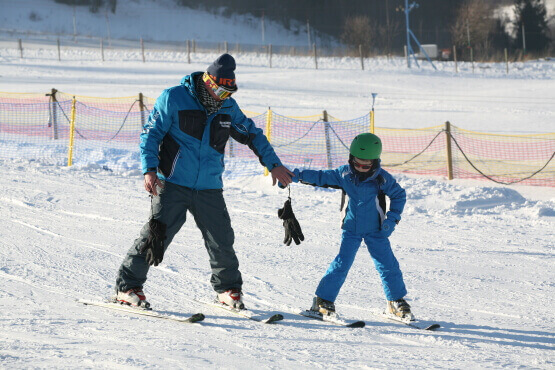 Right next to it, there is a great slope for beginners “Krasnal”. More advanced skiers use the more difficult routes in the Szczyrk Ski Resort, which is also located close to SkiTown. On the spot you can also use the rental and service of ski and snowboard equipment. There is a car park for several hundred cars in front of the rental office. The map can be found in the tab contact. Ski school Szczyrk invites.